Warning: like peeling away the layers of an onion, the results of talking to Ofsted can make you cry. 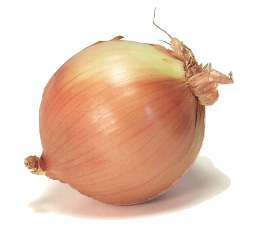 There’s nothing I like more than a robust conversation with someone who knows their onions. The opportunity to engage and participate with an Ofsted inspector therefore, should be the allium equivalent of downing a pint of French Onion Soup: a prospect that, in theory, I heartily relish the thought of. How disappointing it is then, that in my career, after certain conversations with lead inspectors (or the ‘head chefs’, if I’m going to run with this onion/cooking metaphor), I’m usually left with a rather unpleasant taste in my mouth. Not because I’m afraid of challenge but because, well…they’ve tended to be a few onions short of a dopiaza. Take this recent exchange between myself, a lead inspector and their team, on the subject of pupil behaviour. They’re very confident your children aren’t they? Well, it’s nice for children to have a bit of confidence, don’t you think? Your children seem very confident though don’t they? I’m not sure I follow. Has something happened? No, but in the playground, I could tell that they’re very confident children. Sometimes confidence can become arrogance. We all know communities like yours. This is a very middle class community, sometimes these families can be rather challenging of authority. Well, any school community can be challenging. This school had suffered from instability with regards to the senior leadership in the years before my appointment and I think that this may have made some families not trust the school. But I think we’ve come a long way since then. The children’s behaviour has certainly improved over time. Well, I think for many pupils, especially the older ones, they hadn’t experienced a consistent approach for most of their time here. It wasn’t surprising that they didn’t buy into our new whole school approach to learning and behaviour from the very start, because, for all they knew, it could all change again at the drop of a hat. But, over time, systems have been embedded and they’ve gradually become more effective as the children saw that they were staying and that more importantly they were working. But you’re saying the older ones challenge authority? No I think you’re saying that. They seem very confident. Sometimes this can come across as arrogance, or even rudeness. Yes, so you keep saying. Is that your way of telling me that some children have been rude to you? Have any of the children been rude? Well, I was talking to some children on the playground and I got the impression that they could become rude. Sorry I don’t see. Are you saying that some children were actually rude to you? No, but they definitely had the manner of children that could become rude. No. But I could see how they might challenge authority figures. But they didn’t challenge you and they weren’t rude? I see, but it was clear that their behaviour could tip into rudeness – I must write this down. Hang on, hang on. You see this mug here? Well, I could, I ‘could’, pick it up and throw it at you. I might even look like I’m going to pick it up and throw it at you. But until I do pick it up and throw it at you, you can’t actually say that I picked it up or that I threw it at you. My point is, that until one of my pupils is actually rude to you, I don’t think it’s fair for you to judge them based on what you think they might, could, possibly, maybe, slight chance that they will, would, may do. Let’s move on to learning behaviours. Ah, now I have to say that all the pupils I saw were really engaged with what they were doing. Yes, they were really keen to talk to me about what it was their teacher was teaching them and what they had learnt. It sounds like they were completing tasks that were too easy. Hmm, I suppose they were explaining tasks. Exactly. Not describing the learning. Were they easily distracted? Well they were very keen to talk to me. Hang on a second here folks, children showing off their work to an inspector is not the same as children being easily distracted. But they were explaining tasks. Because they weren’t being taught anything. I’m pretty sure the tasks were allowing them to either acquire a better understanding of something relatively new or consolidating their learning. You don’t learn if you don’t get a chance to practise. But they’re not being moved on swiftly enough. That’s why they’re getting bored. Who said they were getting bored? I did see a child look out of a window. Switching off? Maybe they were thinking? And one child, just got up, in the middle of the lesson, and tapped the electronic whiteboard that had just gone to sleep. So, he used his initiative to wake up the whiteboard so he could carry on with his work. There’s that over confidence again though, don’t you see? It was like he didn’t have to get permission from the adult. He felt he could just get up and make a decision that impacted on everybody else. Yeah, it did, it made sure they could get on with their work. Good on him, I say. And this is the problem. You just don’t seem able to see the poor behaviour in your school. I can’t actually believe you’re genuinely claiming that a child looking out of a window, a child tapping a white board and children excitedly talking about their work is proof that behaviour is poor. Oh I’m not just saying that it’s poor. I’m not even saying that it requires improvement. I’m saying that, combined with the rudeness, it’s almost inadequate. Just to play devil’s advocate here for a second. The children we’ve spoken to say they enjoy school, they enjoy their lessons and they’re keen to please their teachers. The children I’ve observed have really enjoyed getting stuck into their lessons and have been really engaged. The children all talk positively about the behaviour policy and they seem to think that behaviour has improved over the last couple of years. They say that there aren’t any bullies although there are some naughty children but that the school is helping them with their behaviour. All the children have talked consistently about the standards of behaviour expected of them. ParentView is broadly positive about behaviour. I guess what I’m wondering, the question I want to ask is: are we really saying that the examples of passive learning we’ve highlighted is enough evidence to say that behaviour across the entire school is inadequate? Thank you. At last. Some common sense. I like you. Thank you. I just think it’s worth us having that discussion. I think you all better leave now. I’ve got a horrible feeling I’m about to pick up that mug. Next Article Rank me, Yank me. No! That’s the only bit that isn’t strictly true. I didn’t threaten them with a mug. Everything else, sadly, is pretty much on the nose. This is like a Monty Python sketch. As I read it I saw John Cleese as the lead inspector, Eric Isle as the additional inspector and Graham Chapman as the head. All you needed was Terry Jones dressed in drag delivering tea half way through. Unbelievable! Thank goodness you survived through education still able to challenge authority, I say. And if you won’t listen to a word I’m saying, well maybe I might be just a little bit rude to get your attention. Now is it the scald or the bruise that needs treatment first?